Only a tiny minority of fans actually see your Facebook content. Some research puts this as low as 2%. Using a complex algorithm, taking into account some 100,000 factors, Facebook suppresses your content so only very few of your intended audience sees it unless you pay to “boost” your posts. This guide is intended to reveal the main workings of the algorithm and show you how you can use that knowledge to improve your reach and engagement organically. Without paying for ads. With multiple examples, this 100 page e-book covers the best content types to use on Facebook, how to present it for maximum reach, how to avoid being unwittingly penalised, and shares the tips and tricks you need to know to use this channel successfully. A companion online course is also available. Marie Page is a social media specialist and co-founder of The Digiterati, a collective of leading digital marketing experts providing consultancy and training. 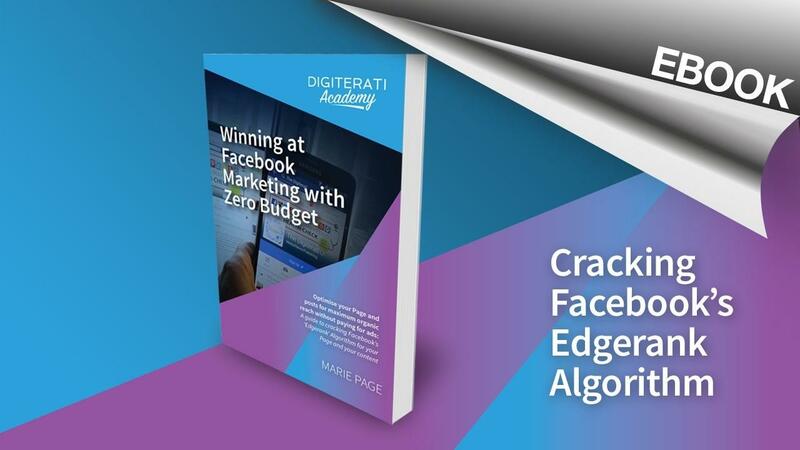 As one of the UK’s leading Facebook marketing experts she is also author of the the Smart Insights Guide to Facebook Marketing edited by Dr Dave Chaffey and the Smarter Guide to Facebook Advertising. 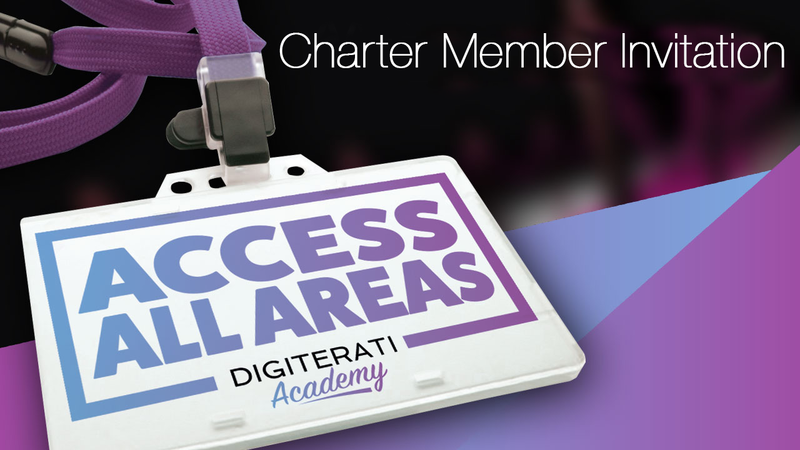 In addition to consultancy and training with The Digiterati, Marie runs an award-winning ecommerce company enabling her to keep her social media knowhow at the cutting edge. 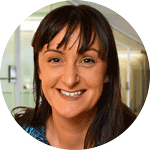 Marie holds a Masters in Digital Marketing (even her award-winning research topic was in Facebook Marketing) and is a Fellow of the Chartered Institute of Marketing where she has also worked as a digital marketing examiner. "Much of what is written about marketing on Facebook is either too high-level to be useful or it is based on opinion only - or both. I recommend this book since it has the detailed, actionable, practical advice that makes a difference to what businesses get from Facebook. I've worked with Marie Page for many years now as she has created and updated the Smart Insights content on Facebook marketing and know that her approach of running campaigns for her own business and clients is based on many tests as Facebook changes its approach. With this book you will be able to follow a similar test, learn, grow approach." "Struggling with Facebook and it's ever changing algorithms? Most small business owners would say yes and then fail to find an alternative response to "pay to promote your posts". This book could just provide the answers. A helpful primer for those looking for beginners looking for direction with their Facebook marketing activity. Given that Facebook is constantly changing and evolving as a platform, it is likely to need regular updates, but the core strategy concepts and tips should remain accurate for some time." "An engaging and easy read, backed up with plenty of real-world examples. The author's deep experience of the topic and wide source of references gives confidence to try out the practical tips. I'd recommend this as a thorough introduction for people new to the topic as well as an update for more experienced marketers." "Like many small businesses, we have little to no budget to spend on social media so the title of this book immediately appealed to me. I’m pleased to say that it lives up to expectation. Well presented, easy to read and (more importantly) actionable, this handy guide shows you how to improve your Facebook reach and engagement without paying for ads. It explains how Facebook algorithm works (which is particularly helpful) and offers hints and tips on how to optimise your Facebook business page, increase your reach (including suggestions for content) and what pitfalls to avoid. Unlike other social media marketing books which bore you to death with technical talk, I found this book incredibly easy to read. The action points are well researched and there are plenty of real-world examples to back up the author’s suggestions. We’ve started to implement some of the action points suggested in the book and can already see an improvement in our Facebook engagement levels. A helpful guide for small businesses looking to improve their Facebook marketing activity."